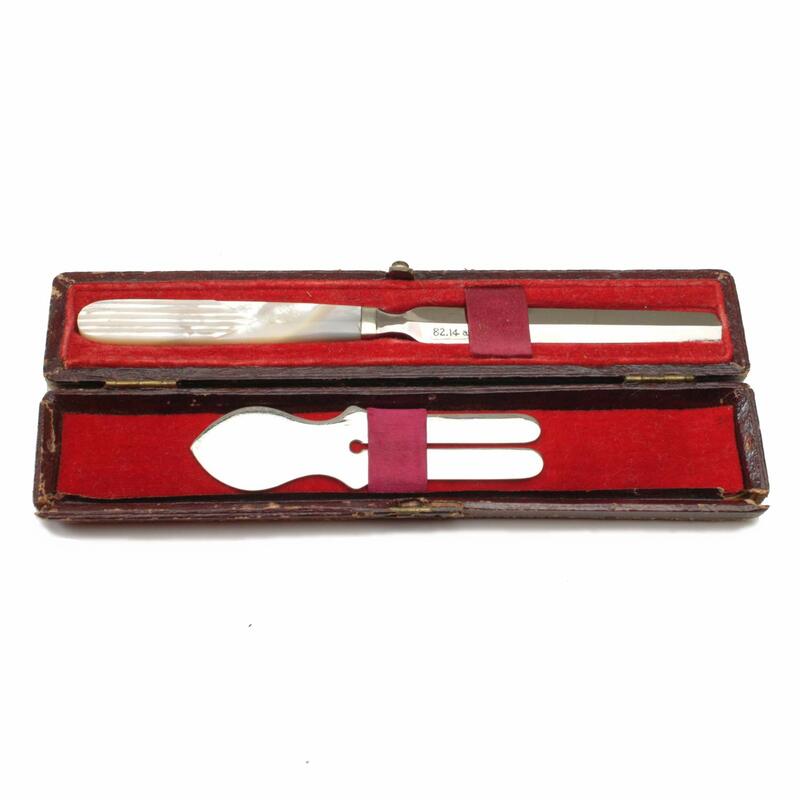 This handsome circumcision set was made during the heyday of American surgical instrument manufacturing. Ferdinand G. Otto and John Reynders were German immigrants to America, who began their careers on this shore at George Tiemann & Co, the most important American surgical instrument manufacturer of the time. In 1860, Otto and Reynders entered into a partnership at 58 Chatham Street in New York City. Despite its small size, Otto & Reynders soon became one of the preeminent instrument-making establishments in New York. In 1864 they relocated to 64 Chatham Street and by 1870 they were producing $20,000 worth of surgical wares. After fifteen years, Otto and Reynders parted company, with Reynders remaining at the Chatham site and Otto embarking upon a partnership with his sons Albert and Gustav. From around the year 1830 to 1890 instrument makers in New York and Philadelphia produced fine implements using traditional handicraft methods and precious materials such as ivory, ebony and mother of pearl. Implements were custom fitted into deluxe velvet-lined cases. By 1880 the craft began to subside, as sterilization procedures became known in America and fragile implements that could not withstand extreme heat and chemicals became obsolete. At this time, production of surgical instruments shifted back to Europe and by 1900, the production of luxurious instruments and cases had ceased entirely.